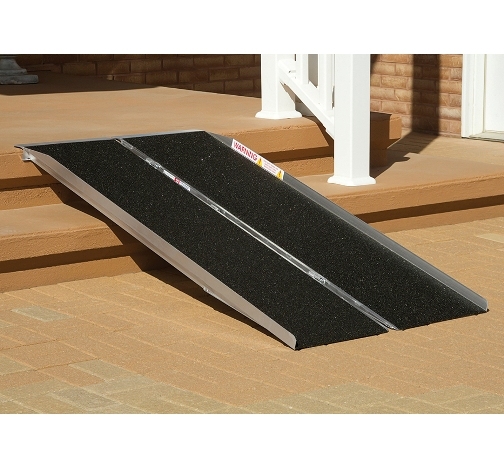 The PVI SingleFold Ramp easily folds like a suitcase to transport when not in use. Custom widths are available. * Handle not included on 2' model.